it's been a while since I wrote on my blog even though no one really read it? *laughs* oh well been really busy with my study with culinary arts and it is really my passion to cook. Here is one of the dish i made here in our house. 1. Prepare all the ingredients and equipement needed. 2. Cook the pasta until al dente. 3. Melt the butter and sauté the garlic. 4. Add the shrimp, cook until the shrimp change its color. 5. 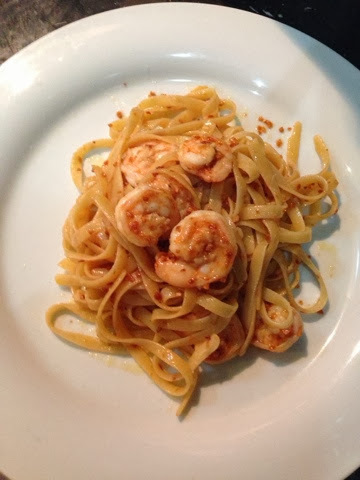 Add the cooked pasta and finish cooking until the shrimp change its color to pinkish/orange color.